Geometric calculus and the calculus of differential forms have common origins in Grassmann algebra but different lines of historical development, so mathematicians have been slow to recognize that they belong together in a single mathematical system. This paper reviews the rationale for embedding differential forms in the more comprehensive system of Geometric Calculus. The most significant application of the system is to relativistic physics where it is referred to as Spacetime Calculus. The fundamental integral theorems are discussed along with applications to physics, especially electrodynamics. 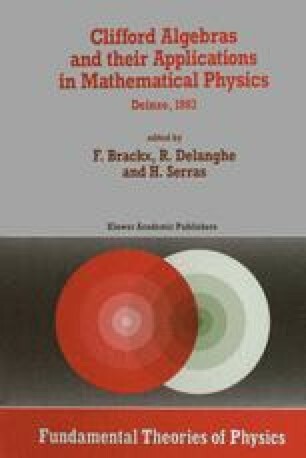 Differential forms geometric calculus Clifford algebra Dirac operator Stokes’ Theorem manifolds.